If you’re spending money right now, I need you to stop and start thinking about how you manage it. I’m the girl that needed a book on budgeting two years ago. I don’t even know how I managed (well, my parents let me take groceries and would offer help if I needed it). Because I spent money like it grew on trees. I literally would spend my checks of $80-100 from the university bookstore which I got paid on a weekly basis and just buy lipstick from MAC or outfits from Forever 21. Or I was offering to pay for friends to get into parties, buying football tickets to non-conference games, just being so college. Sidenote: part-time jobs are not feasible at minimum wage and could never help someone cover the cost of living unless you’re waitressing or something similar where you can stack up your money. Managing your money is easy but it’s also not easy. Not when you’re balancing so many things to pay compared to people in the past. There are student loans, higher cost of living, utilities, and so much more that have been added to the plate. Then, there are the sales like the Nordstrom Anniversary Sale or Amazon Prime Day where you can get these amazing deals but you don’t want to cash out your money. It’s hard out here for a spender on a budget. But managing your money can be a bit more simple if you have the right resources. 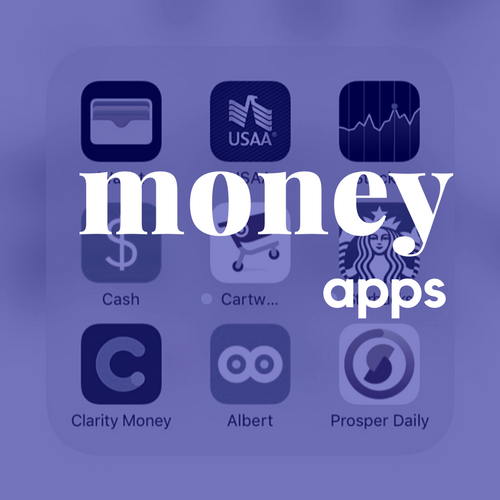 There are dozens of apps out there that make managing money easier. I know this because I’ve dived into a few and gave them a day or two test before decided if I wanted to keep the app. I’m all about user-friendly and being able to get answers when I want the answers. I don’t need an app that is going to take forever to get through and neither do you. Case in point: You need an app that is going to take away all the hard work with an immersive experience. I’ve used a few different apps in the past; Truebill and Mint. The Mint app just wasn’t cutting it for me. They didn’t report correctly and it could have left me confused if I didn’t already check my banking accounts. And Truebill, I never really got into it. Don’t get me wrong, these are great apps. There are just more apps out there that I took a chance on and ended up liking them a lot more than I should. I’m actually a bit obsessed with one of the apps. 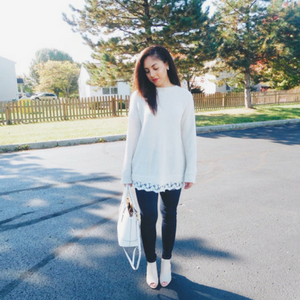 Let’s talk about my favorite – Clarity. I will rave and rave about this app. I share it in the Facebook groups that I’m in and it’s because I love it. I don’t have any affiliation with this app – no sponsor or affiliate marketing. This is no ad. I just really like this app because it’s user-friendly and it’s presented in a clean, modern fashion. Everything is right there in front of you. You don’t have to go dig through multiple tags to figure out where this payment came from or when the money for a bill was taken out. 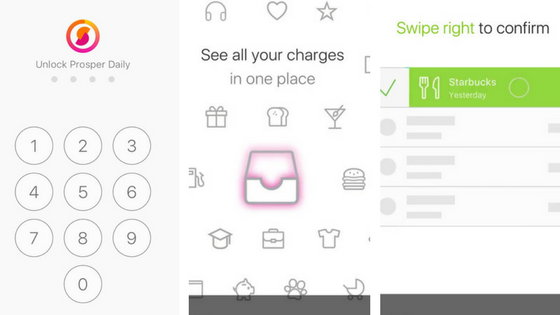 Clarity lets you know where you are spending most of your money. They keep you in check week-by-week by sending a notification to your phone to inform you of how much you spent the previous week. You are receiving clarity on where your money is going. The name really speaks for the app. You are receiving clarity on where your money is going. You can see where you are spending money. There are pie charts that break down where the majority of your money is going — travel, bills, shopping, services, etc. Another plus is that you can cancel subscriptions through Clarity. They ask you if you would like to cancel anything that is reoccurring so yeah, your bills show up and as tempting as it is you can’t cancel those. But if you take a look, you can see that I canceled my Birchbox subscription (I love Birchbox btw, I just wasn’t using my samples to their fullest potential… I need like a box every two months rather than every month). 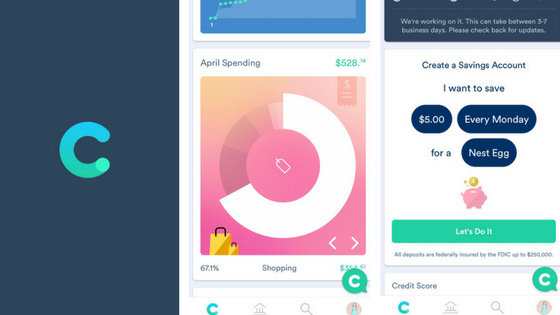 My favorite part is the fact that you can create a savings accounts through the app. They will schedule an amount and shift it to that account for you on your basis so week-over-week or bi-weekly, etc. This is great if you are trying to save money but don’t want to move that money. Automate and watch it pile up. Now, the other app I’m going to introduce to you is different than Clarity. It’s straight to the point and lets you know where you are spending your money and your credit score is right there in your face. Prosper Daily which keeps track of your cards’ movements. This app is helpful when it comes to going through your transactions and marking them with your approval. They help flag up whether that transaction should be there or not which is helpful when we see all these security breaches that involve credit cards. You are viewing all your charges in one place. It’s similar to Mint, I can see that. You can see all of your charges over a time period and I think it’s helpful to see where you are putting your money. Look a charge to Forever 21 and another one to Raising Canes. Oh, another one at Piada! You can piece together what you are spending and how much you are spending then go from there. I find it helpful to see where my smaller charges are taking place. I am an avid Starbucks visitor and I enjoy take-out here and there quite a few times. I find Prosper Daily helpful for people with Budget Spreadsheets. You can track all your charges to each card – debit, credit, etc— and you can apply it to your budget spreadsheet. It’s your new best friend to your budget spreadsheet. And let’s be real if you can get a little help here and there, why not take it? Out of the multiple apps that I have given a chance, I will always recommend these two. You know what I had to learn? Budgeting. You know what I had to learn? Budgeting. I had to learn about everything that my parents had been telling me for years. In some way, I had to learn it the hard way but I’m getting better and so can you. At the end of the day, it comes down to you and how you are going to budget. You have to have the will and want to be better with your money. There are books out there to help you and people out there that can help you. The resources are within your reach if you start looking. Tracking your spending can tell you a lot. You can figure out how you need to budget and manage your money — you’re one step closer to saving when you decide that it’s time for you to take control over your spending habits. When you start looking into things, you start to prioritize the things that you need to spend money on versus the things that you want to spend your money on. They are very different. You have to determine what matters the most. Figure out what money management technique works for you and put it to good use. Need some more tips? I wrote about managing your finances in your 20’s and I stand by it. Apps were meant for me. 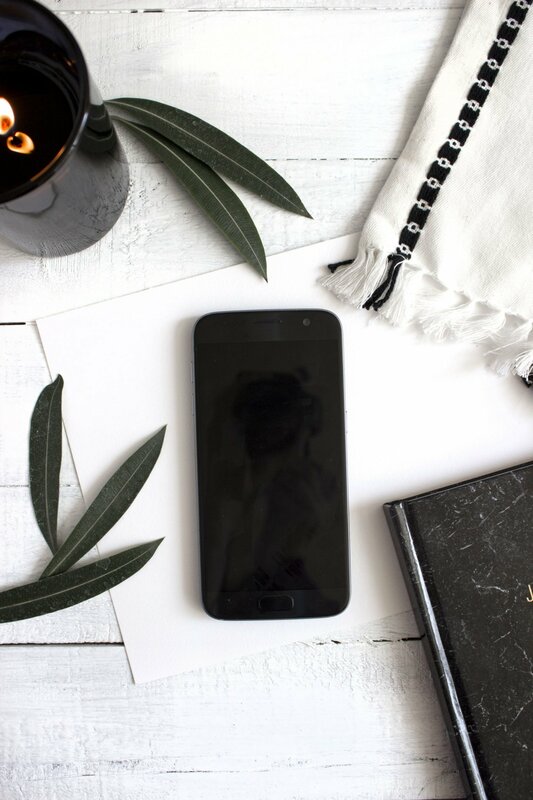 Busy and always on the go, I need something that will just update me when I’m laying in bed and keep me on track. 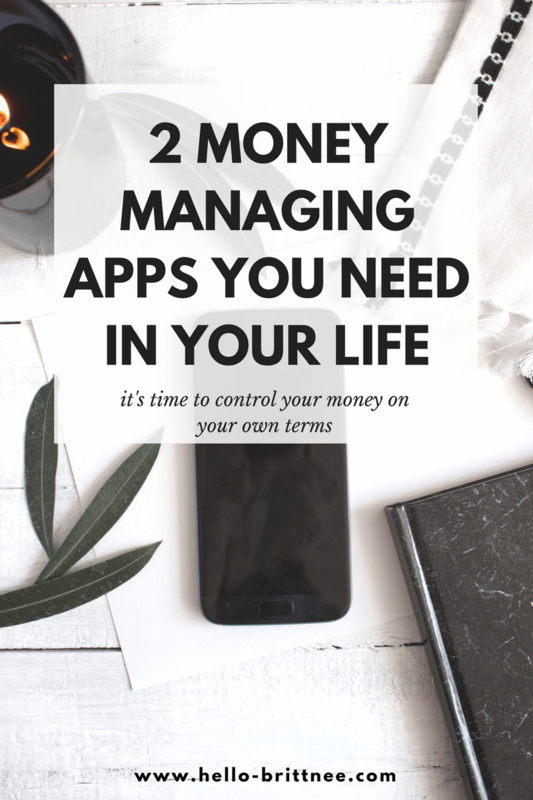 I won’t give the apps all the credit because I really put myself in check and figure out what my means are. Clarity sounds amazing. I am downloading it as we speak. Have you heard of EveryDollar before? I love that app. Great for creating a budget. It’s the best. I have not! What is it? These ere such cool apps! The only similar app that I used before is called Minted but I kind of gave up using it. I definitely need to try the Clarity app – it sounds super helpful! I promise you’ll love Clarity! It’s straight to the point which I love. I think I will try the Clarity app to. I have the Mint app but I have realized that there is a delay in its function. Mint definitely isn’t my favorite because of that. Clarity is really good at being on it and telling me when I spent too much money or when I’m right on track. Love it!